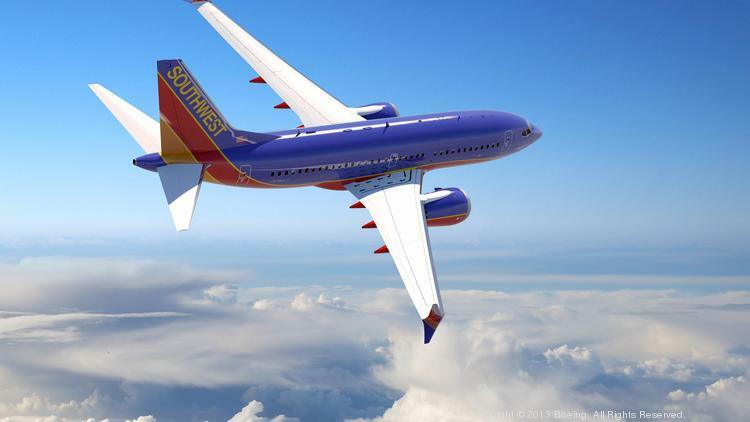 Southwest flies 34 of the 737-Max 8’s, which have twice crashed on takeoff recently (newly delivered planes – not likely a maintenance issue), causing overseas countries including Indonesia and China to ground them. Besides, their safety record has been nosing downward as they have become a large impersonal corporation like the other carriers. It is currently #3 in the US. It follows from crash rate theory that the most likely next-big-series of crashes will be in a high value product. The 737 is the highest value product of all aircraft, Boeing having sold 6 times as many of them as any other model, and having over 4000 backlogged orders, 5 times as many as any other aircraft. Despite efforts to make new planes, the 737 still amounts to more than half of Boeing’s commercial business. The Max 8 is the leading edge of that product, with the most capacity and range and other new “improved” features. It is therefore the least likely to be stable. In fact, the 737 is one of the most valuable products of any kind of all time. Southwest uses them exclusively. They are entirely addictive, capable of making short and medium hauls and carrying lots of people with little maintenance. You could say they are addictive to both passengers and companies. Right up there with tobacco and guns. For statistical reference, see https://www.fool.com/investing/general/2015/03/18/what-is-boeings-most-profitable-plane.aspx and scroll down to the table. If our society suppresses scientific inquiry when it is at odds with politically correct beliefs, are you content to let that stand? Do you think it will not affect our species negatively? Post a comment and leave your opinion. Speak freely. You are safe here. No one pays any attention to this blog. I lead a charmed life in that I can say anything at all and no one pays any attention. The coastal results are largely explained by population density. On the right is a map of population density, with the highest values in dark blue (really more like purple). These closely correspond the east and west coast results, but not the south coast. There is a bit of shifting around, with electoral results around the great lakes shifting a bit to the west of the population center, but including it. And some exceptions. The “rust belt” highly populated regions went Republican to the east of the Great Lakes, which was no surprise given current Republican policy of capturing these votes through pro-jobs initiatives directed at that region. The rest of the results are largely explained by poverty, such as South Texas (Rio Grand Valley), Indian reservations in Arizona and New Mexico, and the Mississippi region known as “the Delta” which is not the delta of the Mississippi river, but the area on the west side of the state which is flat low-lying delta of many tributary rivers between Memphis and Natchez, an area in which many former slaves have never “moved on” to other regions where there is more opportunity. There isn’t much opportunity for anyone there. I grew up there and left. Why should people who live densely in cities, obviously preferring it, and some of whom (not all, presumably) choose to reproduce at high rates regardless of opportunity, be allowed to set policy for vast tracts of land sparsely filled with people who prefer greater wealth and more land? There is no rhyme or reason except that representation of states and districts was encoded in the constitution. Why should people who prefer their traditional habitat (whether reservation or former slave territory) be allowed to set policy for more aggressive people who move to opportunity? This is in fact very counter-intuitive, and exists only for the same reason. I say we change the constitution before policy becomes completely dominated by insect-like city dwellers and poverty-stricken traditionalists who will not move. Bridge Collapse: Is “What went wrong?” the Wrong Question? On March 10th 2018 a one-kiloton bridge was privately constructed across an 8-lane freeway in Miami in a record 6 hours. On March 15th it established several new records, failing catastrophically after only 5 days, killing 6 (the toll may rise) by crushing them and their cars on the freeway below. The blame game and finger pointing has now begun. You do not have every last scrap of data when designing and constructing the bridge, and that is the time to act, before the disaster not after. No NTSB investigation ever prevented a crash. Something else does, and it is not operative here. I realize my #2 statement is shocking, but bear with me. I’m going to take #1 first. Crashes can only be prevented beforehand. There are no dead bodies and crying relatives and grandstanding politicians (Marco Rubio in this case) giving urgency to the cause. There are only accountants taking away duly budgeted funds for margin and testing, and managers and customers calling for the highest value at the least impact. Solid data to prove there will be a crash is non-existent. Designers, constructors and customers need to have methods that survive the accountants and managers, in short the economic pressures. A dramatically valuable technology like 6-hour construction of an 8-lane spanning bridge might itself increase risk of a crash, or virtually guarantee it, and countermeasures have to be deployed. If you leave valuables on the street, thieves will take them. If you use a lot of energy, entropy will increase. If you have great ideas, they will fail. These are laws of nature, despite the insistence by our culture that no idea is bad and no feature or cost-saving has consequences. Read the book to see what you can do about it. In fact, the company that understands this will reach the optimal risk operating point first, and make the most money. That is why the book has the awkward title of Economic Optimization of Innovation and Risk. Yes, I linked my book twice in one blog post. This is a book blog, in case you didn’t get that. The book emphasizes test and inspection as cost effective means of achieving the optimal risk goal, much cheaper than paying for crashes or just paying too much for capabilities. It mentions continuing to test after deployment, and that is what prompted this blog post. The bridge in question seems to have failed during a stress test applied after it was built and the road underneath opened to traffic. What I said in the book was to leave test data gathering systems in place, and continue to look at the data and make appropriate adjustments. Not to place artificial test loads on an operational vehicle or structure or system while endangering the public. There is a very great difference. And I didn’t want my statement to be misinterpreted. Ok, enough of that, on to my inflammatory statement about the NTSB. An NTSB investigation cannot prevent a crash because they only investigate afterward. Duh. Hold on. I know you think they make recommendations and airline operators and manufacturers implement those recommendations, and that prevents future crashes. It certainly does not. Quite frequently recommendations, even required ones, are not implemented. Failure to implement old recommendations is a frequent finding in future crash investigations. But the airline industry does have a better safety record by some measures than other forms of transportation. What gives? Inspections that happen before a crash can prevent a crash. But only if the results are heeded. Inspections revealed erosion of the O-ring seals of Shuttle booster rockets, but no corrective action was taken, and the missions were deemed so valuable one was launched on a cold day in January. That is how feature or mission value impacts crash rate. In fact, NASA’s three worst disasters in its manned space program, the Apollo I fire, Challenger explosion killing the “Teacher in Space,” and Columbia failure due to ice hitting tiles which had been known for a long time, occurred on January 27th, January 28th and February 1st respectively. Ice? February 1st? So the investigation into Challenger produced what? Nothing, apparently. No insight that cold weather affects high performance space vehicles. Post-crash investigations make people feel better, but they do not prevent crashes. Regulatory action penalizing operators and manufacturers do not prevent crashes either. My good friend’s wife was killed by a drunk driver whose license had been suspended for … wait for it … drunk driving. Test and inspection works. Breathalyzers that lockout the car’s ignition are imposed by many judges in Texas, but they do not seem harsh enough for MADD, or some Texas judges, and weren’t used in the case of the driver who killed my friend’s wife. So she is, well, dead. For quantitative answers, even lacking precise data, about how much to do, read the book. Why are quantitative answers needed? Why don’t you just do everything possible? Try that with any engineering organization. Engineers and managers quickly figure out they can raise a safety issue and get funding, promotions, etc. This is why “everybody stay vigilant” doesn’t work. People only stay vigilant if their vigilance is heeded. Heeding all vigilance produces a cost bloat and you go out of business that way instead of from public reaction to a crash. So a mathematical (quantitative) theory is essential.